Sometimes all you have to do is ask. And as simple as that. the answer appears. I knew my great-grandfather was just a baby when his parents brought him to the US. James was born on the Isle of Man in 1871, so my search started that year. And ended within three minutes. 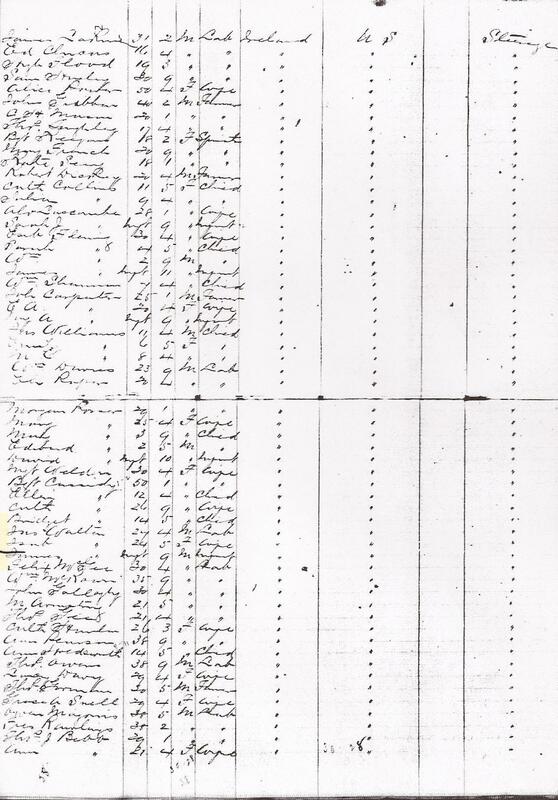 With just a name and a date in the simple search table on Ancestry.com, I located this passenger list. 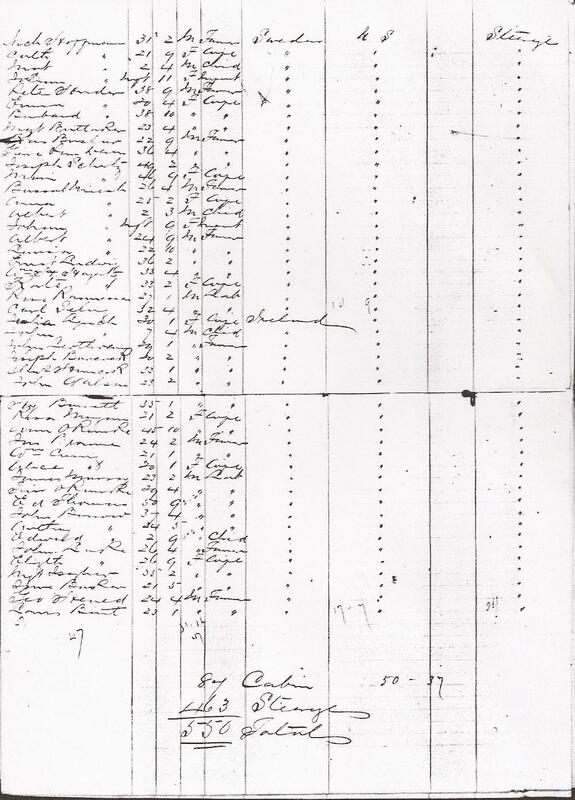 A little more than halfway down the page, I saw the (abbreviated) names for which I had been looking; Jas Walton 24 years and 4 months of age – a laborer, his wife Isab 24 years and 5 months of age, and their infant son James who was nine months old. 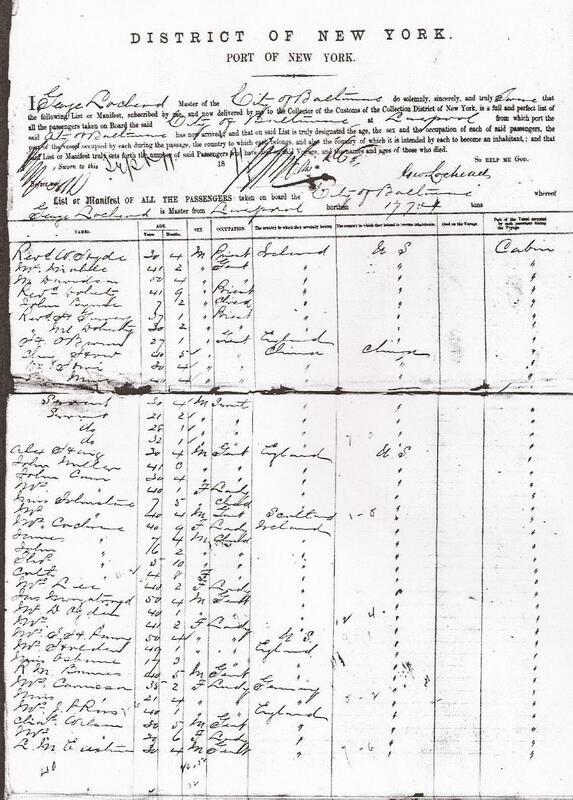 Now I know that the Waltons and 460 other steerage passengers arrived at Castle Garden on the 11th of September 1871 aboard the City of Baltimore. James Walton Sr died in Cleveland, Cuyahoga, Ohio April 14, 1916 – 96 years ago today. I’d like to think this was a new record on Ancestry or that the indexing has improved since I searched for this record the first time. Either way, in order to find the passsenger list, all I had to do was look.